Are you ready to raise the door to possibility? Combee knows how to let function, style, and savings into your garage while keeping the scorching summer heat out. 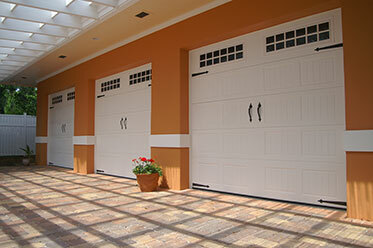 Combee will install your dream Clopay door to the outside and bring the inside to a place of unimagined organization. The marriage of function and style under one roof will feel complete as we insulate your walls for an energy-efficient layer of assurance. As your longtime neighbors, we treat your home like our own. THE PINK PANTHER ™ & © 1964-2017 Metro-Goldwyn-Mayer Studios Inc.